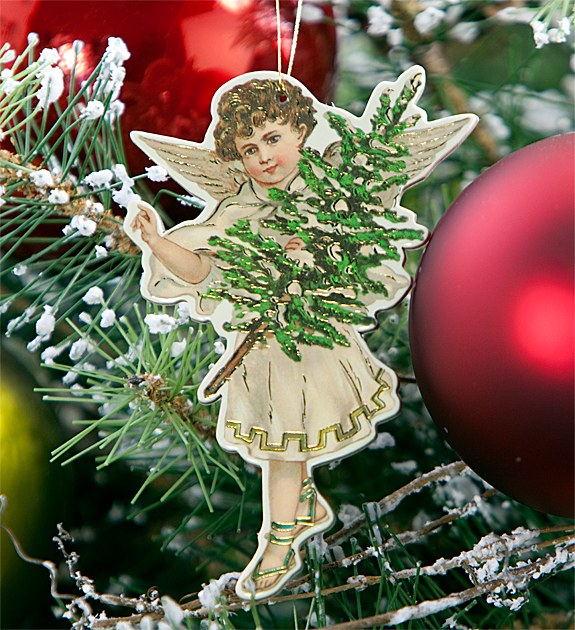 Decorate your tree with our Four Little Angels. 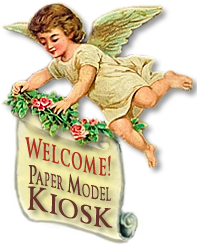 There's no need to worry these little angels will face the right way or not — they're double sided. And, their heavy cardboard construction means that even little fingers can have fun helping decorate the tree without fear of clipping off a wing here, a sandaled foot there. The angels are stamped with gold highlights that will glisten when you turn on your Christmas tree lights. Die-cut, with gold accents, double-sided on heavy cardboard, with gold cord for tying or hanging, four designs. Size: 3 x 4.5 inches.